2) The faster a potential whistleblower provides the SEC with information, the higher the award will be. So far, the SEC Office of the Whistleblower has paid more than $57 million to 26 whistleblowers since the SEC instituted its whistleblower program in 2011. The largest award paid to date by the SEC Office of the Whistleblower is $30 million, which came in 2014. Another award paid a whistleblower more than $14 million in 2013. In 2014, the SEC said it received a record 4,000 whistleblower tips, an 8% increase from 2013. The most common categories for tips, complaints or referrals reported by whistleblowers in 2015 were corporate disclosure and financials (17.5%), offering fraud (15.6%) and manipulation (12.3%). The SEC paid more than $37 million in awards to eight whistleblowers in 2015. Under the SEC’s whistleblower program, individuals may be eligible for an award “when they voluntarily provide the SEC with unique and useful information that leads to a successful enforcement action,” the SEC said. Whistleblower awards generally range from 10% to 30% of the total amount recovered in the SEC enforcement action, so long as the amount recovered exceeds $1 million. All whistleblower payments are made from an “investor protection” fund, which was established by Congress and financed entirely via the monetary sanctions imposed on securities law violators, and no money that is paid to the whistleblowers by the SEC Office of the Whistleblower is taken or withheld from harmed securities investors. Additionally, the SEC protects the confidentiality of whistleblowers and does not disclose information that might directly or indirectly reveal a whistleblower’s identity. We’re seeing a significant uptick in whistleblower tips over prior years, and we believe that’s attributable to increased public awareness of our program and the tens of millions of dollars we’ve paid to whistleblowers for information that helped us bring successful enforcement actions. In addition to the big awards the SEC Office of the Whistleblower is willing to pay, the SEC has said that an individual’s award will be higher if the individual provides the SEC with information more quickly. Case in point is a recent $2 million whistleblower award paid to three individuals. Of that $2 million, the SEC Office of the Whistleblower paid approximately $1.8 million to one individual, while the other two were only paid $65,000 each. The SEC has explained, albeit vaguely, that the significant difference in the awards paid the three whistleblowers in the above case was predicated on the speed with which the information was provided to the SEC Office of the Whistleblower by the three individuals. The individual who reported the information the fastest received the $1.8 million award, while the other, slower reporting individuals only received $65,000 each. The whistleblower that was paid the $1.8 million “voluntarily provided original information that prompted the SEC to open its investigation” while the other two whistleblowers provided information to the SEC “after the investigation started.” The SEC further observed: (1) the first whistleblower “continued to provide valuable information throughout the investigation”; and (2) the “joint contribution of” the other whistleblowers was “substantially less important than that of” the first whistleblower. This award demonstrates the Commission’s commitment to awarding those who voluntarily provide independent analysis as well as independent knowledge of securities law violations to the agency. We welcome analytical information from those with in-depth market knowledge and experience that may provide the springboard for an investigation. The SEC’s recent awards highlight the fact that the SEC will not only pay big awards to whistleblowers, but that the awards will be larger for those whistleblowers that blow the whistle the fastest, and regardless of whether they work for the company they blow the whistle on. If you or someone you know has information regarding a possible securities law violation, please contact our whistleblower team via email or by phone, (801) 323-5000, regarding a possible consultation. 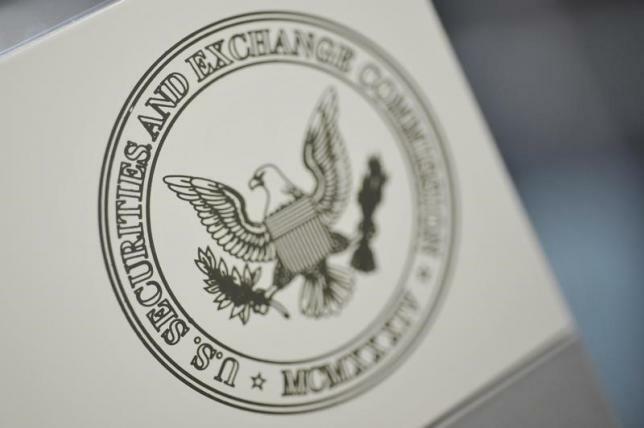 Given that an individual’s potential share of an SEC whistleblower award may be determined by the speed in which it is reported, you should not delay in reporting the potential wrongdoing to the SEC. Additionally, the SEC Office of the Whistleblower has shown a willingness to pay whistleblower awards to company “outsiders.” As a result, even if you do not work for the company that you suspect of wrongdoing, you can still blow the whistle, and may be entitled to a significant whistleblower award.